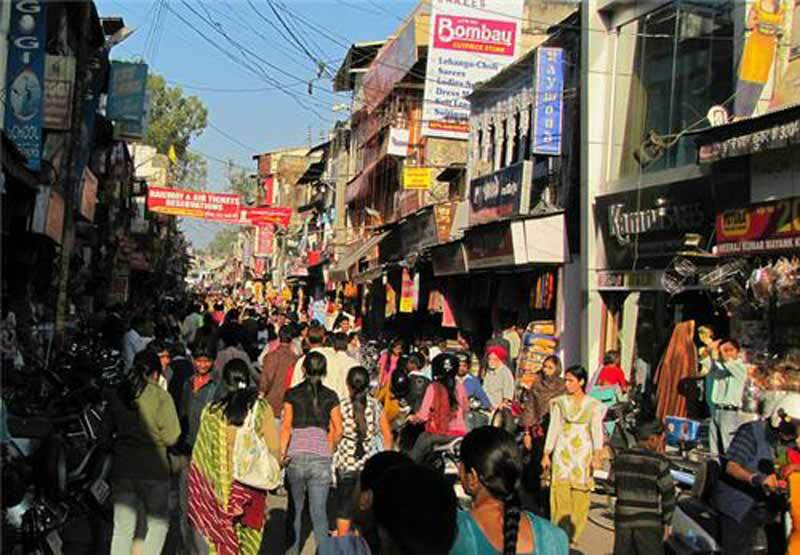 From bustling markets to modern malls, Guwahati offers the full range of shopping experiences for the adventurous traveller. You can roam the local markets for a taste of the culture this city has to offer or spend a day at the malls checking out the latest trends and food. 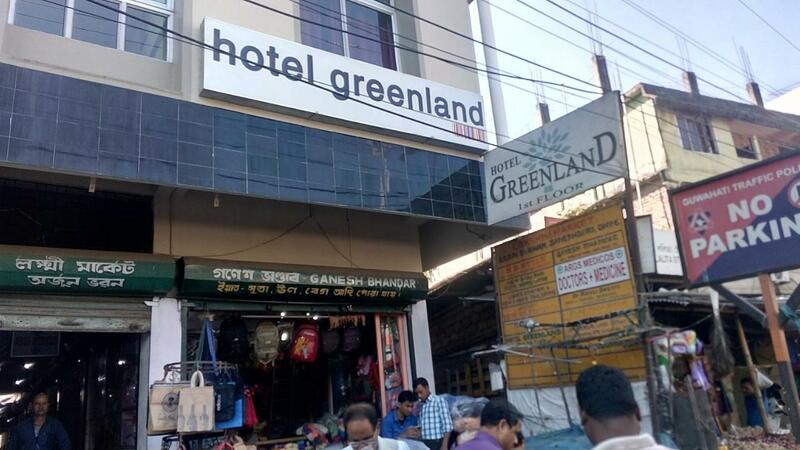 With silk, traditional clothes, handicraft products and some of the most delicious sweets and pickles on offer, make sure to check out these top places to shop to Guwahati. 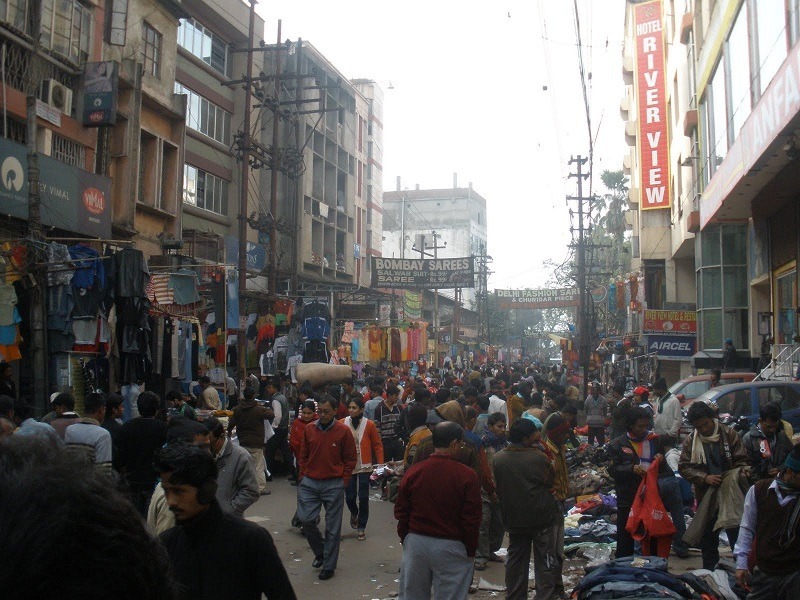 Fancy Bazaar is easily one of the most popular markets in Guwahati. And if you love to shop, this is the place for you. You can find everything from clothes to furniture and artefacts to jewellery. They’ve also got a good range of local products and we recommend you pick up the Jaapi (a local traditional bamboo hat) and Gamocha (towels) as they make great souvenirs. Apart from this, you will also find a range of delicious local food on offer. Traveller Tip: If you’re famished after the shopping, make sure to stop by JB’s restaurant as it is a must-visit. The academic hub of Guwahati, Pan Bazaar is a dream destination for those who love to get lost in books. With a number of shops dedicated solely to books, novels and academic literature, you can easily spend a few hours here. But even if you’re not into books there is a lot to see here, such as the local stores that sells Assamese clothes, handwoven fabrics and even silks. Nehru Park is close by if you want to take a break from the crowd of the market. Traveller Tip: Feel free to bargain here to get the best deals. If you’re looking for stunning home décor and local furnishings, then make a pit stop at this Guwahati market. Especially popular for bamboo products and Northeastern tribal clothes, this market is popular with locals and tourists alike. You will also find interesting local items such as clay toys as well as a variety of teas. There are a number of eateries serving traditional fare where you can indulge too. Traveller Tip: The market is quite close to a railway station and hence gets relatively crowded. So make sure to visit off peak hours to shop in peace. Clothing, footwear, home décor, restaurants and electronics – you can get everything you’re looking for in this central area. This shopping hub has a number of international brands and this is your one-stop shop for all your needs. Some of the brands available here include Pantaloons, Big Bazaar, Sohum Shoppe, The Hub, Dona Planet, Westside and Reliance Trends. It is usually bustling and it’s a great location to head to if you’re in a large group. Traveller Tip: If you’re looking for big brands, this is the place. They are also popular for high-end fashionable clothes. A must visit place for a taste of Guwahati, this market was named after the Ganesh Temple that’s located close by. Shoppers come here for items such as footwear (they have a lot of local and international options), clothes and other household items such as crockery and soft furnishings. Apart from it being a shopper’s paradise, foodies will have a good time as well as it boasts Chinese, Northeastern and Continental restaurants. Traveller Tip: Do take a look at their jewellery shops as some of the pieces on offer are truly unique. A superb shopping and entertainment destination, Dona Planet is a must visit if you’re looking to do some serious shopping in Guwahati. Here you will find upscale stores as well as local shops. Dona Planet also offers one of the best movie experiences in Guwahati, which is why locals, as well as tourists, flock here. You will also find a number of stores here that sell local produce that you can take back home. Traveller Tip: A great place to spend a relaxed day, catch a movie and grab a bite. With three outlets in Guwahati, this is a major shopping destination that the entire family can enjoy. Here you will find a number of leading national brands that you can pick up souvenirs or gifts from. Apart from that, they also have a large number of international brands, all offering the latest season’s clothes. So, if you love fashion, add this to your itinerary. You will find tourists from other cities coming here as well, but thanks to the large parking space and modern design, it doesn’t get too crowded. Traveller Tip: If you are travelling with your family, this is a good option as everyone is going to find something of interest here. If you’re looking for some of Guwahati’s finest silks or clothes, then you must visit Silkalay. This quaint little shop is charming and full of vibrant colours. It has a lot of the finest silks on offer and bestsellers include Muga and Pat silk. You will find a range of clothing including saris, mekhla chadars (Assamese traditional attire for women), kurtas, sherwanis and more at great prices. Traveller Tip: A great place for silk saris. Keep in mind the rates are standard, so bargaining is not encouraged. If you have a sweet tooth, then this is the place to visit to satisfy your cravings. A popular shop among locals as well as tourists, this small sweet shop offers a lot of variety. Apart from local sweets, you can also try the cakes and chaat here. Some of the best-selling items from their menu include the barfi, motichur ladoo and gulab jamuns. Traveller Tip: If you plan on taking sweets back home with you, this is a great place to pick them up from. While there are a lot of malls you can visit in Guwahati, if you want to do something a little different, make your way down to this exhibition venue. It started as a government venture to promote local artisans and products and here you can find a range of traditional knick knacks and gift items to take back home with you. It’s very popular with tourists and offers a peek into the culture of Guwahati. Traveller Tip: Do try to make it for a handloom exhibition here as there is a range or items on offer at great prices. This popular market offers you a taste of Bengal. If you love Bengali food and products, then put this on your list of places to visit when you plan a vacation to Guwahati. You can easily get here from the Kamakhya Railway Station and once you’re here, immerse yourself in Bengali culture. Try delicacies such as hilsa fish, mishti doi and rasgulla. Traveller Tip: Do make sure to buy the famous Bengali sweets – they make great presents to take back home. 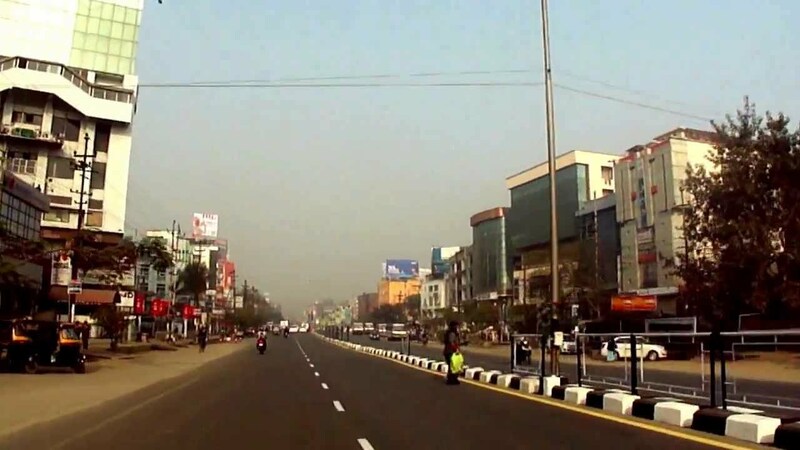 Even if you’re just here a day or two en route to Kolkata or Northeast India, be sure to go shopping in Guwahati. The people are friendly, the items are unique and the food is simply awesome. Do let us know what you bought during your stay there in the comments section.